Relate: If I were to ask a question, “How many tribes of Israel were there?” I am willing to bet nearly everybody (except those reading the title and expecting a trick) would have answered 12. This answer is to be expected because pretty much everywhere they are mentioned in the Bible, they are listed as twelve. There are twelve sons of Jacob (renamed Israel) but there are actually thirteen tribes in the nation Israel. How so? In the next few days of our reading through the Bible (click the link above, slackers) Joseph is going to be sold into slavery. From there he will have a roller coaster ride that will end with him raised up to the role of VP (vice Pharaoh). Somewhere along the line, he is going to have a couple sons and ultimately he will be reunited with his dad and his brothers. His two oldest boys are Ephraim and Manasseh. When grandpa Jacob blesses those boys, they become two of the twelve tribes of Israel. Do the math. 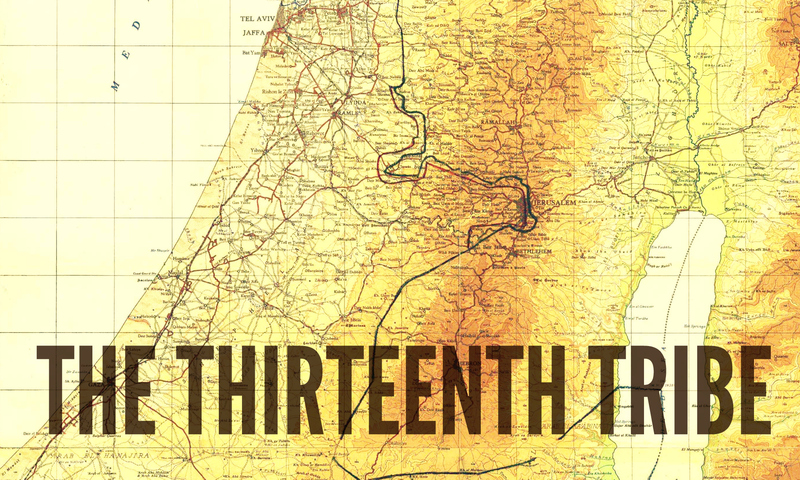 12 kids – Joseph + Ephraim and Manasseh = 13 tribes. The thing is, like I said, everywhere in the Bible that talks about the tribes, it says there are always twelve. I still didn’t answer the question, how does that work? Well, when the land is being divided, it is Levi that gets left out. He is the priestly tribe and his inheritance is the Temple, not the land. Later on, when the nation divides between the North (Israel) and the South (Judah) it is Simeon that gets left out. His land was originally inside the land given to Judah and by the time Solomon died and his idiot son took the throne, it no longer existed as an independent tribe. In the New Testament book of Revelations, Ephraim is listed as Joseph, but Dan doesn’t get mentioned at all. So with each listing, a different tribe, for different reasons gets the shaft. React: Why do Levi then Simeon and later Dan not make the cut? You can, read the full reason for Dan in the book of Judges but the short of it is that they rejected the land God wanted to give them and instead (through idolatry, deception, and murder) stole their own land they thought would be better. In the map above, there is an area where they were supposed to be along the Mediterranean Coast, but they never populated that area and instead, it remained the hand of the Philistines (whose name is passed down right to this day as the Palestinians). There is also a city of Dan up in the northeast near Mt Hermon. Technically, this area that they did settle in was supposed to belong to Naphtali and to Manasseh. The reason Simeon and Levi were left out was seen in the yesterday’s reading in Genesis 34. Circumcision was a part of the covenant between God and Israel. This act was what made them unique as a people and it was a visible sign that they had been set apart. It should have been something that made others desire to join them. Instead, Simeon and Levi abused this covenantal act turning it into a means to get revenge. They abused the holiness of God to make enemies of the very people they were supposed to be sharing His love with. Rather than being respected and honored, the children of Israel became detested and feared. You might be thinking, “That’s great but what does any of this have to do with me? I am a child of God. I can stand secure in that fact.” True, but that security does not give us a right to irresponsibility or a license to sin. Like Dan, I have the tendency to try to do things my way rather than accept and live in the blessings of God. Like Simeon and Levi, I run the risk of taking that which sets me apart from the world to push the world away rather than to point them to God. Does the way I speak and interact with those around me cause them to want to know the God I serve? By the world, the Church is viewed as hypocritical, self-righteous, and judgmental. Am I helping to change this perspective or am I part of the problem? They should know I’m a Christian by my love. Do they, or when the final tally is counted will I be part of that thirteenth tribe? Will I be one of the ones who doesn’t count? Please keep me. I have the tendency to wander. There is so much in me that still needs to come under the authority of the cross. Take my pride and give me instead Your love. Take my greed and self-reliance and help me instead to trust You. When the world looks at me, don’t let them see my greed, my pride, hatred, or condemnation. Let them instead, see You through me. And let them want more. Thank you BJ, you’re not alone. The closer you get to God, the more we realize how different we are. I am so grateful for His love, grace and redemption. Worthy is the Lamb! Ah, thanks for explaining this! I noticed those left out but never put it together. And now to understand the land of the Philistines! I just started a 7 day devotional along with my Bible reading on living the life of surrender. So this was a perfect follow up. We may not see the consequences of our disobedience but our children and/or grandchildren will. Thanks for explaining this. Praise the Lord. Loved this, but I am curious by what you meant with the last question in your react section: “Will I be one of the ones who doesn’t count?”. Great study on this. I think Jesus makes it clear that on judgment day there will be surprises. There will be some who were sure they were part of the Kingdom but are not. I don’t want to hijack your thread, so I’ll limit my responses. There is mention of those who thought they were part of the Kingdom, but aren’t, but why aren’t they? It’s because Jesus “never knew them”, as in they never were his – they never surrendered to him, but used him as a tool to “cast out demons” or what have you. There are far too many other references in Scripture that once you belong to Jesus, once He knows you – He is yours and you are His – nothing can take that away. Not even you. 1 Cor 3:12-15 is a great example of this. Someone who might fail to do what God has asked of them, but is still “saved”. What great spiritual insight! Thank you! A Complete and a conquered piece. Extremely interesting theory. In the Bible the numbers 3, 12 & 7 play an important role. 13 on the other hand symbolises defection and corruption. At the same time 13 is the seventh number of the Fibonacci sequence and is before 21 which is 3*7. 12 seems to be a number of perfection. 7 is perfection. 12 is the number of Divine rule. 12 patriarchs, 12 tribes, 12 Ishmaelite princes, 12 spies, Nehemiah was governor for 12 years, 12 apostles, 2 sets of 12 thrones and elders, etc. I realize I’m late to this article but I do wanna reply. When I look at Jesus’s encounter with the woman from Sumaria, It is easy to realize that the Meshiach was for the Gentiles as well as the Jews. I have always made the presumption that the Gentile nation is the 13th tribe.